The best mineral makeup is the gift that keeps on giving. Unlike traditional makeup products, the best mineral makeup lines are free of preservatives and chemicals — like parabens, dyes and fragrances — that can wreak havoc on sensitive skin. They can be a lifesaver for women with skin conditions like eczema or rosacea who don't want to give up makeup. 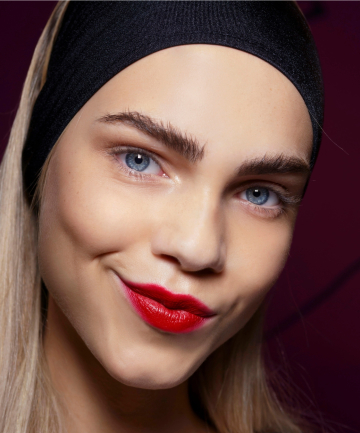 And, because most formulas don't contain oil, they also won't exacerbate acne-prone skin. As for skin-care benefits, mineral makeup contains titanium oxide and zinc oxide, which provide some sun protection. Zinc oxide is also a natural anti-inflammatory, which helps soothe irritated skin. From powders to liquids, these mineral makeup products were voted most impressive (and least irritating) by TotalBeauty.com users. Check out their reviews to find the best mineral makeup you need to add to your beauty regimen. Very helpful information. I have been searching for a mineral makeup that I like. I need full coverage that doesn't look like chalk. I love Merle Norman products so I may give the Luxiva a try since it placed #1 on your list. I would say my favorite is Younique Mineral Makeup! The best quality without braking the bank! You get so much more in your containers than the other brands! Good list but Mad Minerals has the candy shop of mineral colors! Oh, lots of fascinating products to try here! Wish this had more drugstore brands. Good article, I have yet to find a decent mineral makeup! My search continues. I like a little known brand called SMMBeauty. It covers well, doesn't have bismuth in it, is all minerals, no additives. Very affordable. Ocean Mist Cosmetics should be on this list. High quality minerals at affordable prices. It is the only mineral makeup my wife uses.